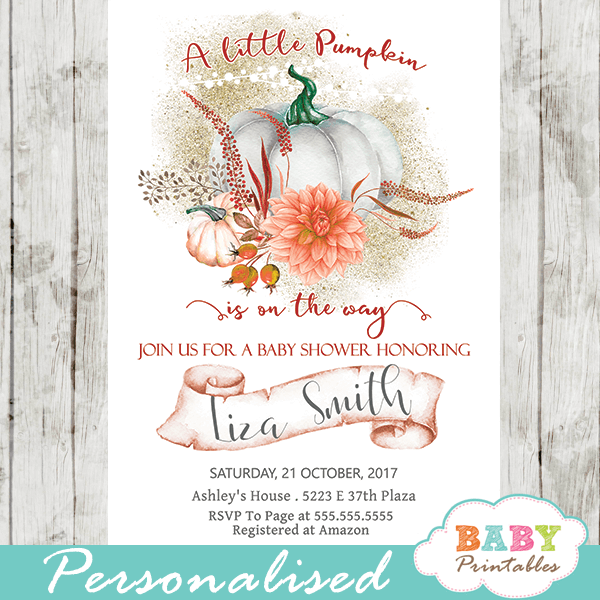 Gorgeous Pumpkin baby shower invitations for celebrating your upcoming little one this fall. 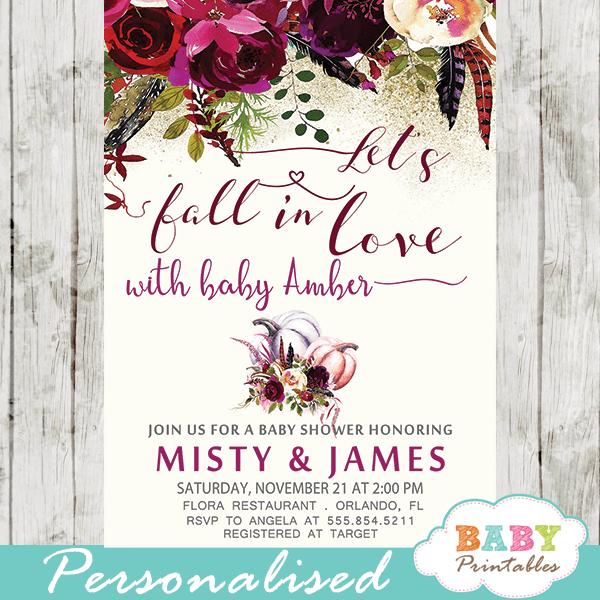 The Pumpkin baby shower invitations feature beautiful watercolor pumpkins, a newborn baby asleep with his toys against a white backdrop decorated with an arrangement of Autumn flowers, leaves and berries in warm shades of fall colors. 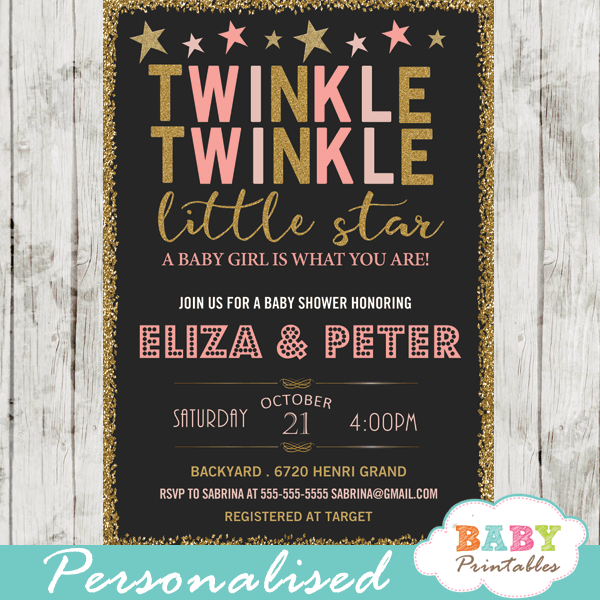 The sweet Pumpkin theme baby shower invitations design is perfect for a boy, girl or gender neutral fall baby shower. ★ Click here to view matching pumpkin baby shower items.